The Tick Cross Marked Report is a complete replication of the manually Checked Answer Sheets. 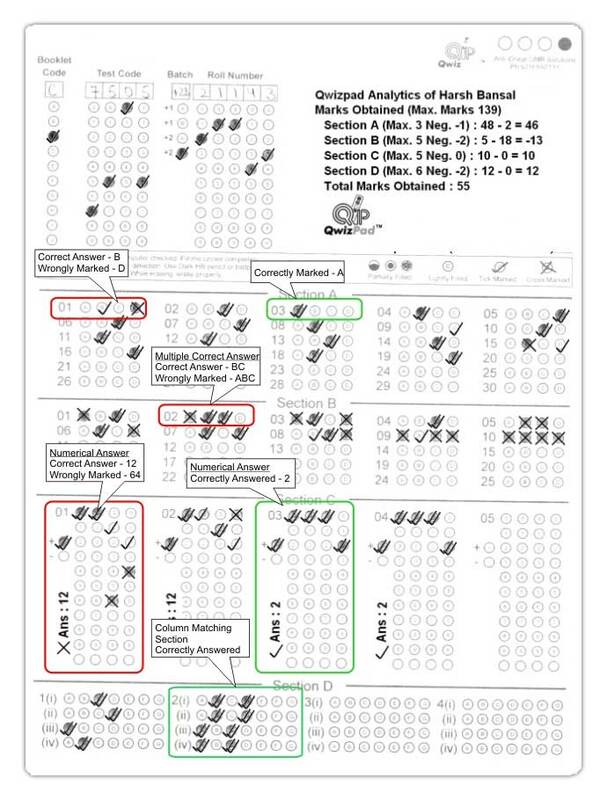 It depicts the actual Answers,Answers attempted by the student & whether they are wrong or right.Single tick mark indicates the Actual Answer;While the Double Tick mark on the option signifies Correct Attempt, the cross mark implies Wrong Attempt by the student. It also includes Section wise +Ve & -Ve marks of each Subject.This Report can be conveniently printed and given to the students. No Answer key is required to be distributed or uploaded.